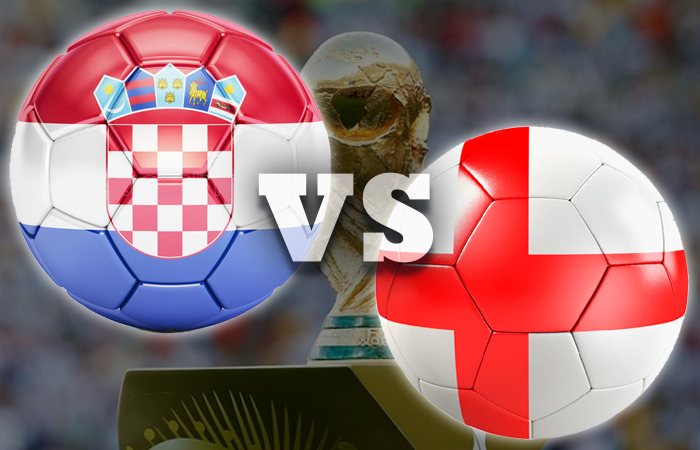 The clash between Croatia and England will be played at the Luzhniki Arena in Moscow on July 11th. The two rivals never met at the World Cup before and it’s needless to say that this tilt has an enormous importance for both teams as the Blazers never reached the finals, while the Three Lions are trying to get it for the first time in 52 years. Croatia didn’t have problems to secure the top spot in the group ahead of Argentina after recording nine points out of three matches as they particularly impressed in a 3-0 victory over the Albiceleste. However, following an easy start of the tournament, the Blazers weren’t as impressive in the knockout phase as they made it to the semi-finals thanks to the penalty shootout and excellent goalkeeper Danijel Subasic who was a hero in both games with Denmark and Russia. Denmark and Russia are not among the best teams on the planet, so the clash with England will be the biggest test of this generation, that got this far for the first time since France 1998, when Davor Suker, Zvonimir Boban, Robert Prosinecki, and co. won the bronze medal. There might be some tired legs after the previous two games, but Croatia will give their all to eliminate Englishmen and record a historic result by reaching the big final. On the other hand, England had a relatively easy path to the semis because they chose it, and it seems that the first obstacle in the knockout stage when they faced Colombia was bigger than Sweden in the quarter-final. Once again, the Three Lions proved to be dangerous from the set-pieces as they dominated the duel in that segment, so there is no doubt that England will try to score from free-kicks and corners as they have fantastic crossers of the ball. Gareth Southgate composed an excellent team that is relatively weaker than some previous generations, but England with Gerrard, Lampard, Beckham, Scholes, Ferdinand never got this far at the World Cup, and although nobody expected this team to fight for the medal, they proved the doubters wrong. Luka Modric will be under a lot of pressure here as his nation relies on him to get this team to the finals, and the player who just won the Champions League with Real Madrid surely has the experience to do it. England plays with five in the middle, so it’s not going to be easy, especially against Jordan Henderson who will be looking for a revenge following the UCL defeat. Harry Kane had a rather forgettable display in the quarter-finals against Sweden, but he is still a top scorer at the World Cup with six goals, and he used to torture Dejan Lovren when they met in the Premier League, so Kane could be a match-winner on this one. Croatia: Subasic; Corluka, Lovren, Vida; Strinic; Modric, Rakitic; Rebic, Kramaric, Perisic; Mandzukic. England: Pickford; Walker, Maguire, Stones; Trippier, Alli, Henderson, Lingard, Young; Sterling, Kane. Croatia’s chances to win the World Cup are now +500, while the Blazers are +125 to reach the finals. England’s chances to win the World Cup are now +250, while the Three Lions are -153 to reach the finals. England might be the favorite here, but Croatia has the quality to make a little upset and eliminate them, so playing on a winner is a bit risky. I opted for goals instead, and the fact that both teams scored in five out of six H2H encounters helped me to choose my bet.